This museum is housed in the former Schoolmaster's House (c.1880). Special exhibitions and events are staged in the adjoining school room (1878). 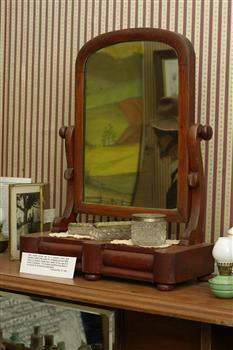 The museum consist of three rooms of displays and a series of audiotapes of former residents of the district talking of their experiences in the 1930s and 1940s. 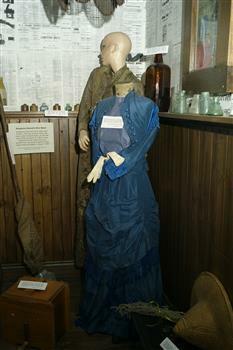 Displays within the Museum focus on the writing of Andrew Ross, the district's first school master (1851-1876) and the region's enterprising Scottish farmers. This collection, established in 1992 in the former Schoolmaster’s House at Kangaroo Ground, focuses on the life of the district’s first schoolmaster, Andrew Ross, and the regions’ enterprising Scottish farmers. 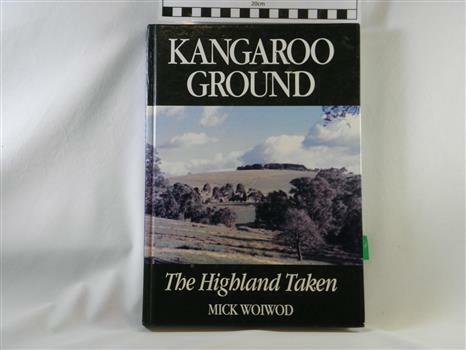 This collection documents the local history of the Kangaroo Ground district. The ARM collection will be improved by this new cataloguing process. 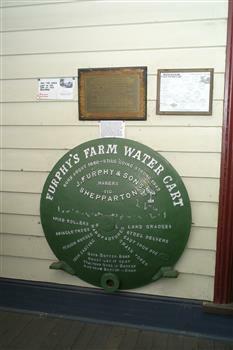 A cast Furphy tank end mounted on front wall of the Museum in recognition of the Furphy family. This casting was specially made for the Andrew Ross Museum in 1996 by Roger Furphy, great-grandson of John Furphy and donated to the Museum on behalf of Andrew and family. Pitmans shorthand which means - Good Better Best Never Let it Rest until your Good is Better and your Better Best. Wooden rocking washing machine. Wooden pivoted container supported on stand. Internal sides and base have ribs. Hand made 1900. Pivoted rocking washing machine which has ribs on the base and sides to aid its effectiveness. 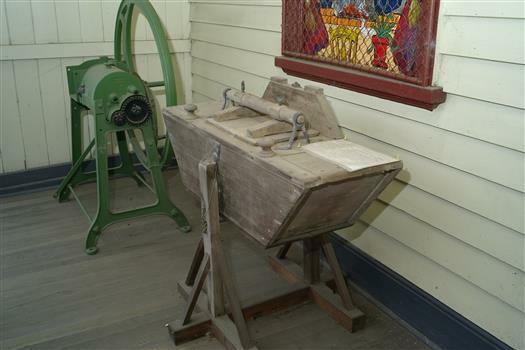 Water cart invented by John Furphy, who attended Andrew Ross's school between 1851 and 1855, and manufactured by the Furphy Foundry. 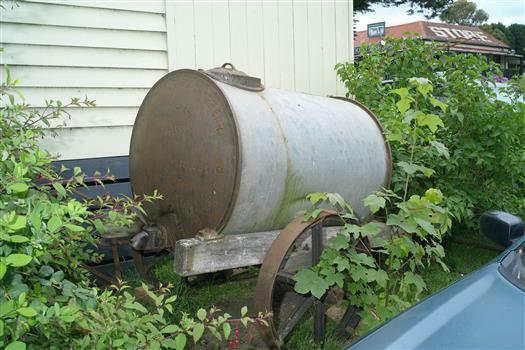 Early Australian water cartage system, used originally in agricultural areas, later in theatres of war. Iconic Australian company who pioneered agricultural equipment. Typical 'Good better best' and other words. 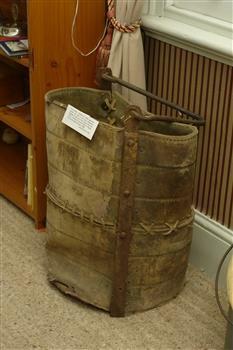 Heavy leather bucket with iron reinforcing and handle. Panels are stitched and joined with thonging Ironwork is hand-forged and rivetted in place. Dates from gold-mining period in Queenstown (St. Andrews) Caledonian Diggings. Used for lift ore to the surface by windlass in small-scale shaft mines. 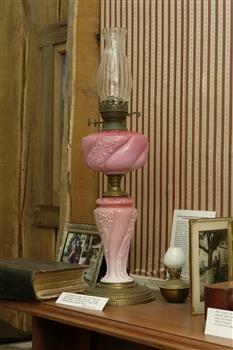 Kerosene table lamp, pink glass base and font, brass gallery,double flat wick. Lady's blue taffeta skirt and jacket trimmed with fringe/tassels/sleeve inserts. Used typically for personal grooming needs in a bedroom. It could be placed on a wash-stand, dressing table, or chest-of-drawers. 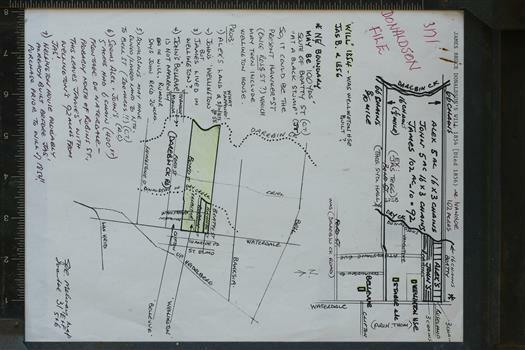 The Donalsdons of Kangaroo Ground owned property fronting Waterdale Rd West Heidelberg, used to camp cattle overnight on their way to/from saleyards in Melbourne.